As speculation builds around Apple releasing a new version of its AirPods wireless earphones, a newly granted patent sheds more light on what we can expect to see. Filed in October 2017 but only granted on December 4 this year, the patent describes "earbuds with compliant member", and goes on to explain how these earbuds could be adjusted to fit almost any ear. Interestingly, the patent also explains how the earbuds would recognize which ear they were in - left or right - then adjust their audio accordingly. The patent's abstract states: "This application relates to earbuds configured with one or more biometric sensors. At least one of the biometric sensors is configured to be pressed up against a portion of the tragus for making biometric measurements." In theory, biometric sensors in earphones like these could be used to measure the wearer's heart rate and movement, in a similar way to wrist-worn fitness trackers and smartwatches. Highlighting the need for biometric sensors to be pressed firmly up against the wearer's skin, the patent shows how foam could be used to ensure a snug fit inside the ear canal. A comfortable but universal fit is something Apple has already proven to be good at, with the simple-looking AirPods now worn by a huge number of consumers, despite not being sold with any kind of adjustable or interchangeable rubber bud. 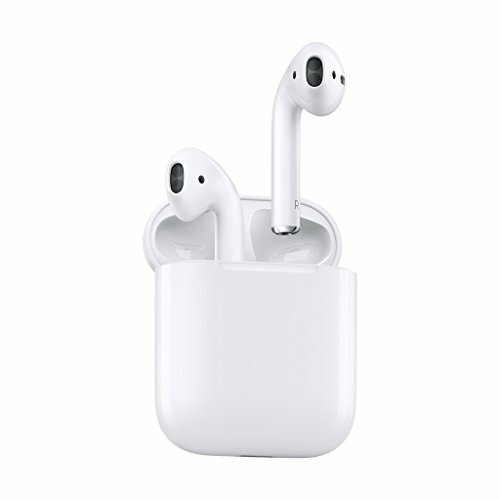 This, along with their intuitive Bluetooth pairing process, compact charging case and decent sound quality, has made the AirPods Apple's best-selling accessory. First spotted by 9to5Mac, the patent's publication comes in the same week that the renowned and often accurate Apple analyst Ming-Chi Kuo said the company will release updated AirPods in early 2019. But these are unlikely to feature biometric sensors and the design described by the patent, as Kuo says a more significant AirPods update is expected to arrive in 2020. For 2019, Apple is likely to include wireless charging with the AirPods charging case, and update their Bluetooth technology. The patent abstract continues: "In some embodiments, the housing of the earbud can be symmetric so that the earbud can be worn interchangeably in either a left or a right ear of a user. In such embodiment, the earbud can include a sensor and circuitry configured to determine and alter operation of the earbud in accordance to which ear the earbud is determined to be sitting in." As always, we must remind readers than technology companies file patents for new products and services on a regular basis, with many of these never actually seeing the light of day. However, it is entirely likely that Apple will release updated AirPods in the coming months, and future models are likely to include biometric features. This patent at least offers an interesting insight into the research Apple is doing to create these future earphones.